After years of making pizza on demand when the kids come home late on a weekend, I’ve learned how to whip up a pizza in no time by using instant or quick rise yeast. The recipe included here is a longer method that produces the best dough by rising it in the refrigerator over night for 24 hours, but I make the same recipe and rise it in 30 minutes and I’ve never heard anyone complain that the dough didn’t taste good! One day, on a late Saturday night my son came home with some of his best friends and they asked me to make them pizza. That’s when it hit me. I would teach them how to make dough so they can make their own pizza! They had a great time and they’ve been making pizza for themselves ever since. My son asked for pizza making equipment for Christmas and he often makes it when he’s away at college for his roommates and friends. If I think back over my lifetime, I cannot recall a single pizza that I didn’t like! That includes frozen, store-bought, home delivered and especially homemade! Pizza is alway good, but if you take a little extra time and make your own dough and use fresh ingredients, you’ll be amazed at the results you can get at home! I started making pizza dough by following the direction you get on just about any packet of yeast. I have refined it over the years and am always trying new things. I like to use honey instead of sugar because I like the consistency it produces, but sugar works just fine. Once you make this dough you can top it with whatever you like. 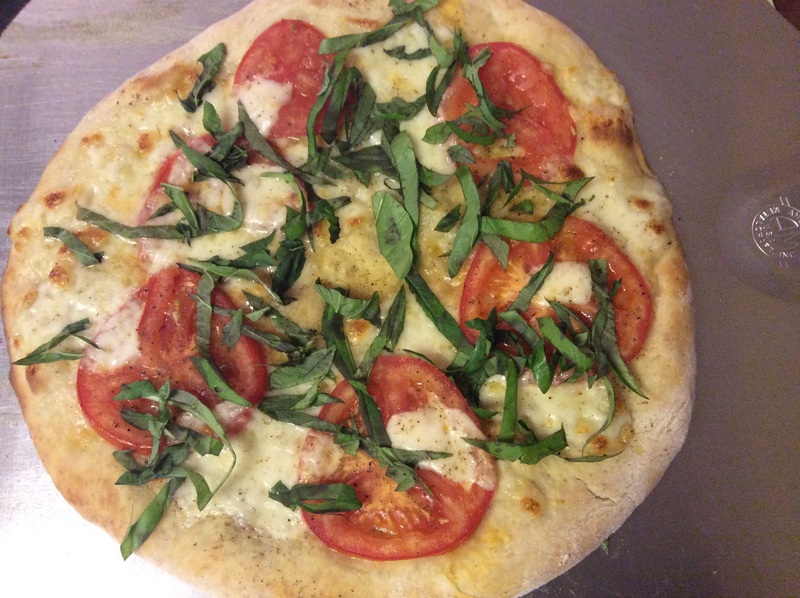 One of my favorites is Pizza Margherita that is a basic pizza using olive oil, fresh mozzarella, tomatoes and basil! This is a family favorite! I’ve experimented with a lot of different toppings and sauces and I’ve found that no matter what I’m topping it with, using fresh mozzarella cheese creates the best taste and texture, regardless of what else I add to it. The mozzarella in a bag that you buy at the grocery store will do just fine and it tastes just fine, but I’ve found that the fresh mozzarella is the best. Add the yeast to 2/3 cup warm water and allow to proof until it gets frothy on top. This should take about 3 minutes. In a mixing bowl, add 1 cup of flour and 1 Tsp salt and mix. Make a well in the center. Pour the yeast and water into the well and add 1 tablespoon honey and 1 tablespoon olive oil. Mix together with a large spoon. The dough should be very sticky at this point. Add about another half cup of flour and mix again. 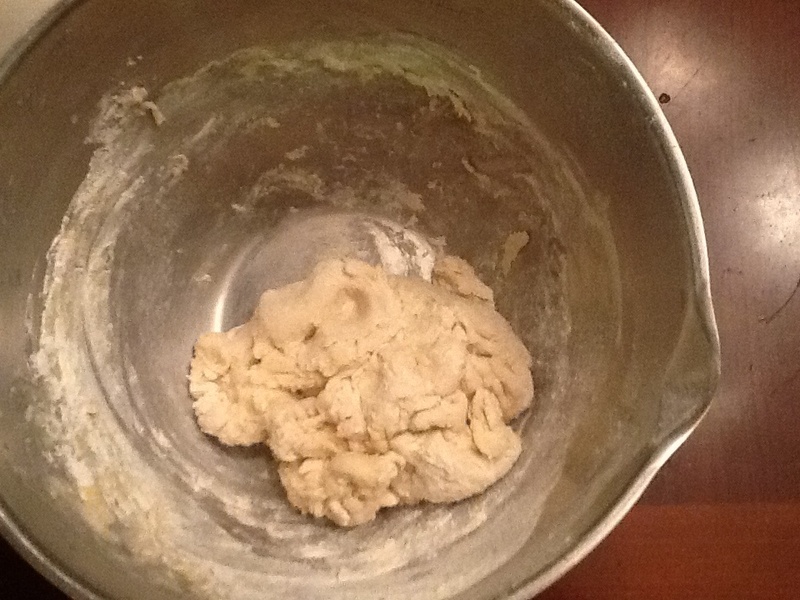 If the dough is still wet add a little flour at a time until the dough is soft but not sticky. 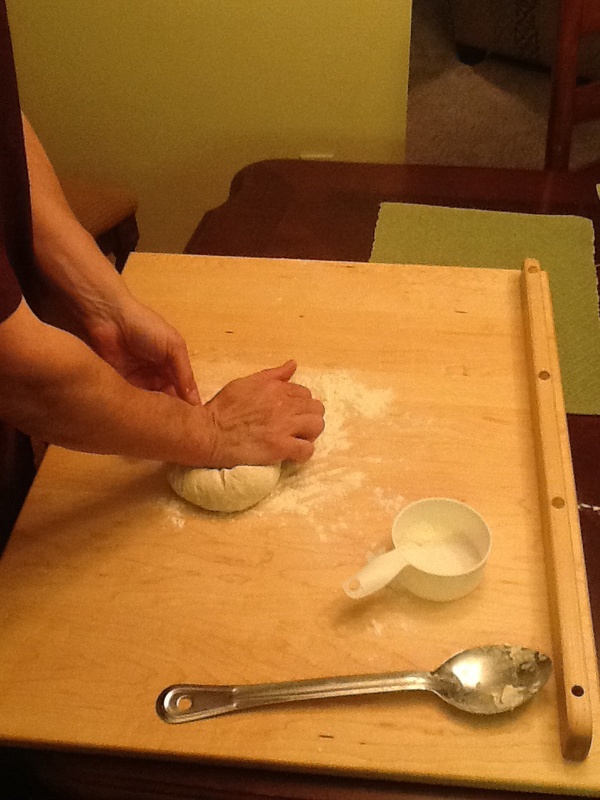 Roll the dough onto a board and knead for about 1 minute. 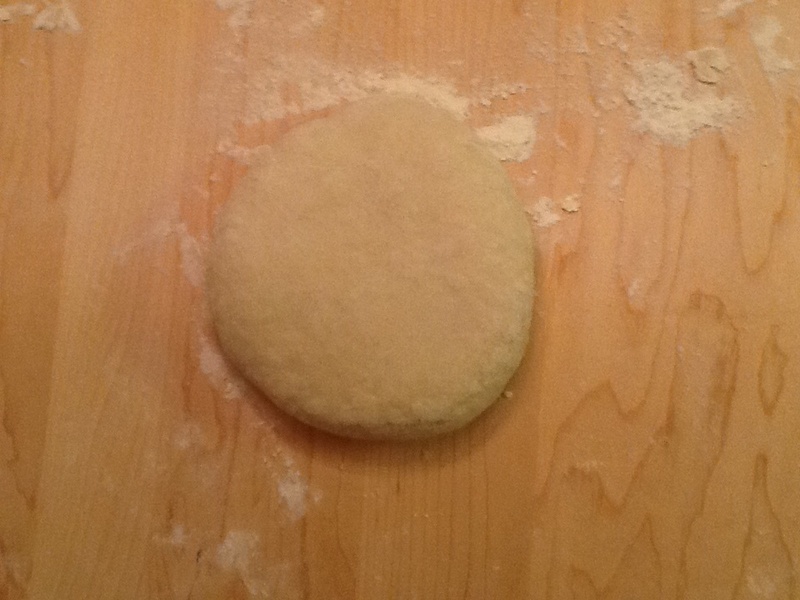 Form the dough into a ball and cover with a towel for 5 minutes. Knead it again for 30 seconds and form a ball, press it down to flatten into a disc and cover and let stand for about 30 minutes. At this point you can form the pizza pie in any shape you like. 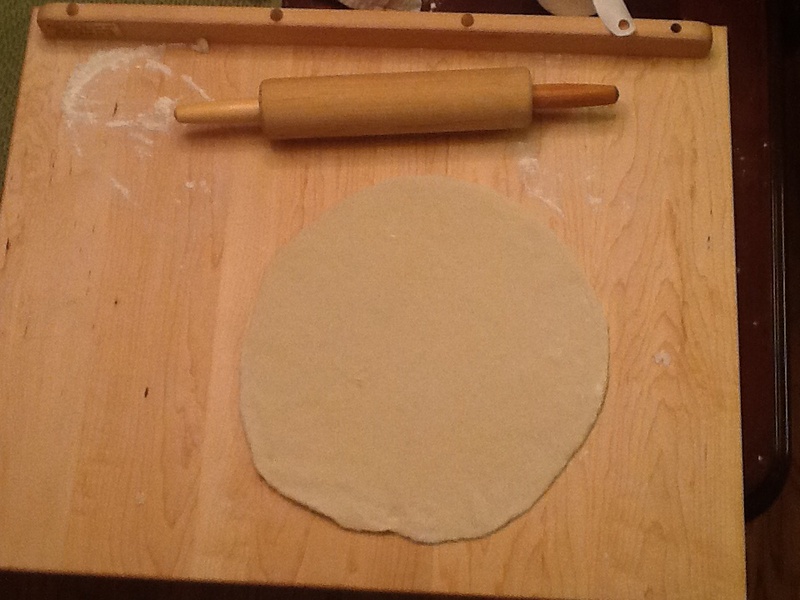 I usually press the dough down and use a rolling-pin to get it in a nice round shape. I play around sometimes and toss it in the air like the pros, but that’s not necessary! I use a pizza peel and slide the pizza onto a pizza stone that’s been preheated to 425, but if you don’t have one a pizza pan or baking sheet will do just fine. I actually have two pizza peels. I use the wooden one to put the pizza in the oven and the metal one to remove it!. This serves two purposes: 1) it’s easier to get the pizza out with the metal one because it slides under better. 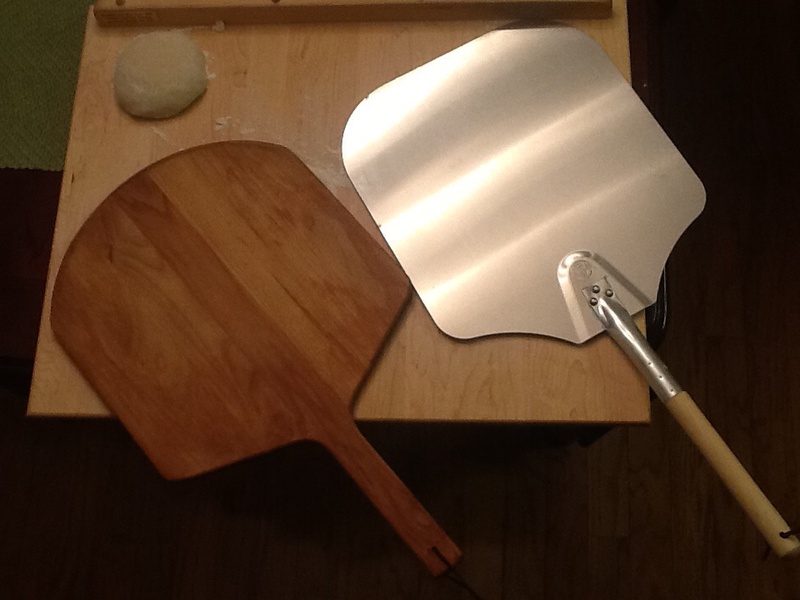 2) I can use the wooden one to make the next pizza and have it ready to go when the one in the oven is done!! Bake for approximately 8 minutes or until the cheese is melted well and the crust is a golden brown! Here is what I did with it tonight!! Pizza Margherita! 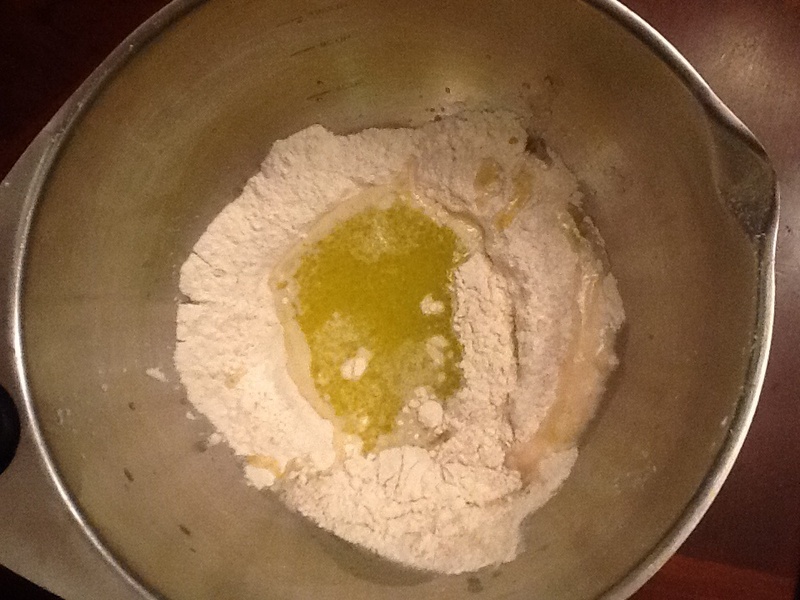 Cover the dough with a drizzle of olive oil and spread out to cover the dough including the crust. 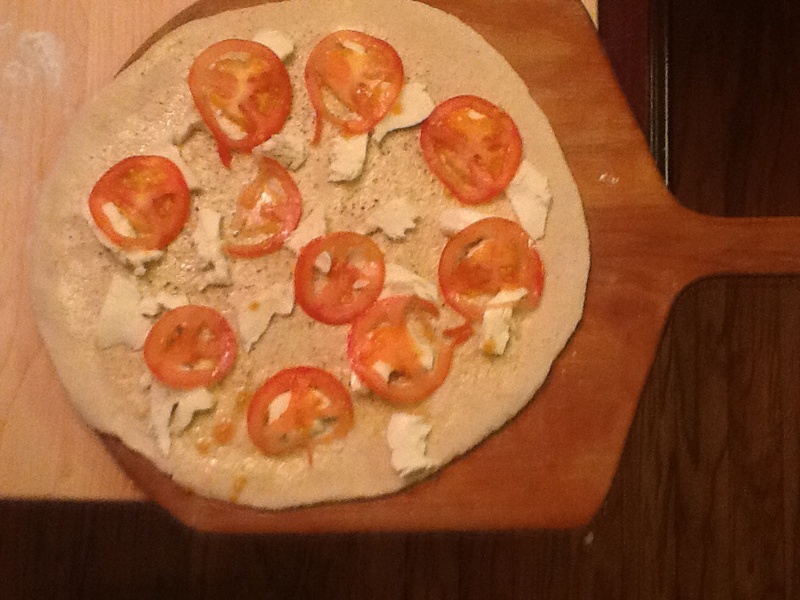 Cover with fresh ground black pepper, garlic powder, and salt and add fresh mozzarella and tomatoes! 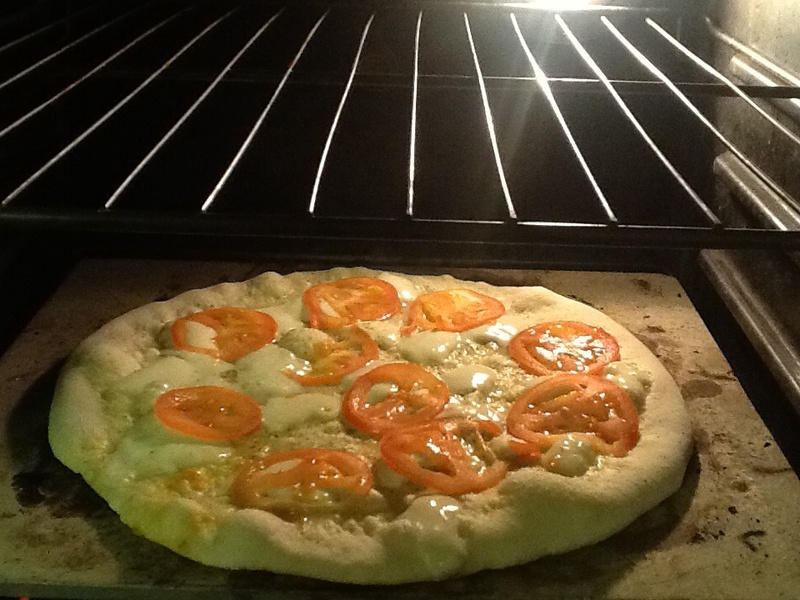 Bake in the oven for approximately 8 minutes until the crust is golden brown and cheese is melted well. Pull from Oven and add fresh basil by pulling the basil leaves apart and spreading over the pizza. Drizzle with olive oil to finish!! This is exactly why I started this blog. To inspire people to try new things and cook! My wonderful Niece Rachel tried pizza for the first time! Looks great Rachel! Nice job! 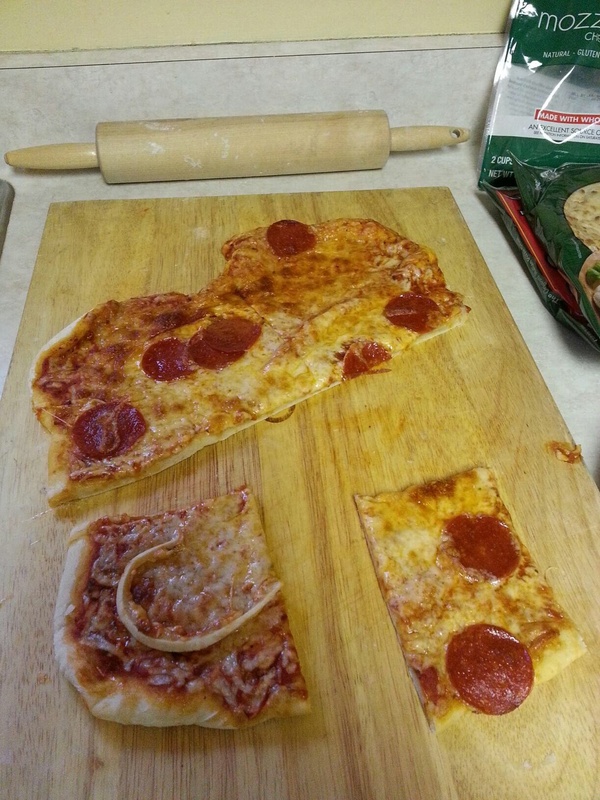 This entry was posted in Recipes and tagged Pizza, Pizza Dough, Pizza Margerita. Bookmark the permalink.